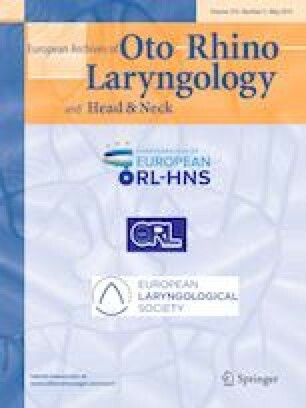 Letter to the Editor regarding “Clinical behaviors and prognoses of high- and low-risk parotid malignancies based on histology” by Tao L. et al. This comment refers to the article available at: https://doi.org/10.1007/s00405-018-5224-9. We read with interest the study of Tao L. et al. entitled “Clinical behavior and prognoses of high- and low-risk parotid malignancies based on histology”. The authors showed significant differences within parotid tumors depending on their grade (high-risk vs. low-risk histology). High-risk malignancies are characterized by worse overall and disease-free survival, and more frequently occur with perineural invasion, pain, facial nerve palsy, lymphatic metastases and recurrence . These results confirm our own observations that the most important prognostic factors are the T- and N-stages and the tumor grade . However, we must pay attention to several elements in this work that raise our doubts. The histology of tumors and risk stratification presented in the paper are based on the obsolete WHO histological classification of salivary gland tumors from 2005, but not on currently applicable from 2017 (e.g., polymorphous low-grade adenocarcinoma at present polymorphous adenocarcinoma) . The principles of risk stratification come from the work of Seethal (2009) and raise certain doubts, e.g., metastasizing pleomorphic adenoma is classified as high risk although it is an extremely rare situation (and removed from the latest WHO classification) of distant metastases after the surgical treatment of histologically benign pleomorphic adenoma . In our opinion, the basis for stratification of the material should be histological revision/reclassification of diagnoses with the determination of tumor grade, especially since 7 of the 65 tumors in this series could not be stratified. Surprising also is such a large proportion of polymorphous adenocarcinoma in the parotid gland 11/65 (17%), which is typical for small salivary glands and in major glands is extremely rare! In addition, epithelial and non-epithelial parotid tumors were mixed in this study. Lymphomas are treated systemically, not surgically (the procedure is a kind of open biopsy). The results of treatment of lymphomas together with carcinomas cannot be presented. What do the “other types” in the pathology type mean? I hope the authors will be able to clarify our doubts.